It’s sunny again today and for most people there’s a sense of lightness – spring is in the air and even summer if our past summers are anything to go by. However not everyone likes the sun! There are some of us who dread the days of constant heat headaches, grumpy children wanting to water fight every five minutes and the ice cream vans on every corner. What a grump! Well my feelings about the sun have made me consider my kids again today. 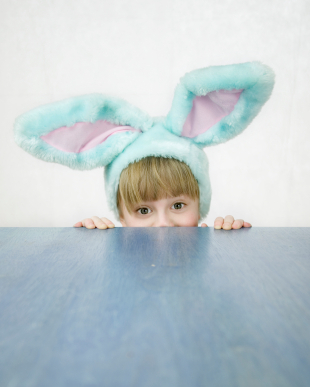 There are so many ‘normal’ children’s activities and events that everyone thinks kids will love – birthdays, rides at parks, trip to McDonalds and of course Easter egg hunts. Well for our children and others like them this kind of excitement can be too much. The rush of adrenalin they feel and the dysregulation it creates actually can be full of fear and confusion for them. For us adults we can find that really difficult – “we tried to make this a special day for them and they go and ruin it”, “why aren’t they grateful for the treat we’re giving them”. It can create a response in us that actually takes us away from feeling the empathy we need in order to see things from their point of view. Emotions are powerful things. I know this, as my temper is something I’ve struggled with most of my life too. As much as I know I can control my behaviour the feelings are still very overwhelming and can surprise me sometimes in their intensity. How much more frightening must it be for children who have no skills of regulation, and can not tell the difference between what is designed to be exciting (something pleasurable) to the debilitating strength of the emotions they feel when they are scared. The other thing that happens of course when we have festivals like Easter is that the normal routines of life disappear. Schools have Easter bonnet parades, Easter egg hunts, Easter services and generally no real lessons as such for the week leading up to the end of term. And Christmas don’t get me started on school and Christmas! For our children of course the change in routine (which can be very difficult for them in itself) combined with the added excitement of presents, chocolate, cake etc., can just be too much to handle and they have a meltdown. That may show itself in screams and rage, it may also be extreme tiredness and grumpiness, it may also be in refusing to take part in the lovely event you’re put on for them and finding ways to sabotage the day. Just remember this Easter time that for them the excitement can actually be a very scary thing – something that takes them back to places of chaos and confusion. Not everyone likes the sun (or any other thing we’re supposed to like) and for our children sometimes it’s better for them not to take part in the crazy ‘normal’ children’s activities – if it means they feel safe and more at peace! After all what are they missing if they don’t do that thing, when all it means to them is fear and anxiety? Have a lovely, peaceful, relaxed, fun Easter and stayed chilled. This entry was posted in Childrens needs and tagged adoption, Easter, festivals, reflections on adoption. Bookmark the permalink.